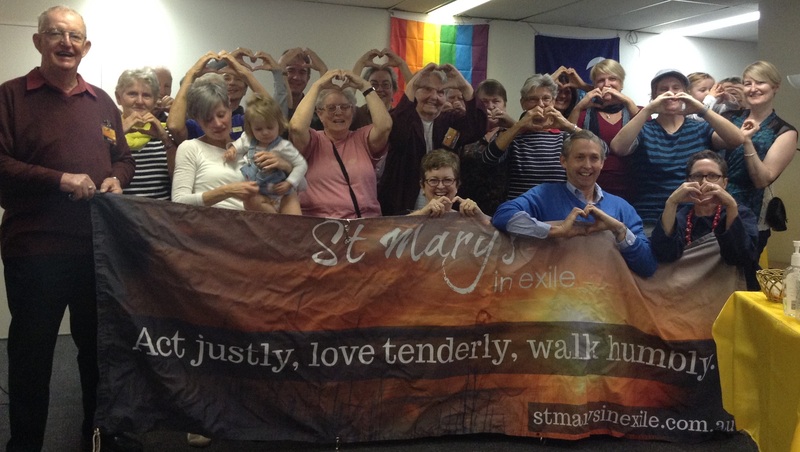 Australian Catholics supports Legislating for Marriage Equality! A majority of Catholics in Australia support law reforms to enable civil Marriage Equality, we join our Catholics sisters and brother in Ireland, Argentina, Spain, France, Luxembourg, Uruguay, Canada, Belgium, Portugal seeking equality for our LGBTIQ brothers and sisters. • For many Catholics, our support for civil Marriage Equality is motivated by our faith informed by Catholic Social Teaching in our commitment towards social justice. • We see the prevalence of homophobic and transphobic attitudes in our society and believe that part of the movement to eradicate such views is to ensure no further legal discrimination against LGBTIQ couples and their families, love is love. • Catholic Social Teaching demands of us to treat our fellow citizens fairly with equal dignity regardless of their state of life or their beliefs. • We wish not see our LGBTIQ sisters and brothers be discriminated by the state regardless of their gender as that of their heterosexual sisters and brothers and believe in the secular nature of civil law and that is should be applied equally. • We wish that LGBTIQ couples and their children receive the same respect and rights as that of their heterosexual sisters and brothers. We understand that there are some who hold sincere religious believe that marriage for same-gender couples are incoherent with their beliefs, to which we wish to point out that the proposed civil law reforms will not affect them. “I can’t break the law of either state or church; however, if the law changed, then I would be the first to perform such a ceremony” Father Bob Maguire. Most marriages in Australia are not religious marriages, but civil marriages. Marriage Equality in Australia with the proposed laws will affect only civil marriages. Religious institutions who does not prescribe to the same values are not required to marry any couple who does not meet its’ requirements. It is important to acknowledge however that there are Christians Churches as well as other Religious communities that will perform marriages for same-gender couples and are at this point discriminated against based upon their religious freedom and beliefs. We ask of those who oppose these reforms for basic civil and human rights to seek further education, dialogue and discernment on why so many Catholics see Marriage Equality as a social justice and civil rights issue. We pray and join in solidarity with all people of goodwill to work together in challenging homophobic attitudes in our communities to build a much more equal, fair and just society where all God’s children can flourish without discrimination. Amen. If you have been identified as a Catholic and feel that your voice needs to be heard, sign our campaign Marriage Equality Now!